If you are shopping for carpet, it can be a challenging task with so many price ranges and so many types. 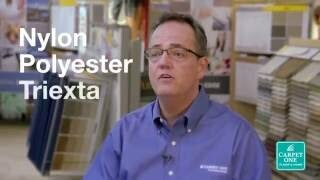 It is hard to sort out what is the best carpeting for your budget and your needs. Taking into consideration the patterns, colors, materials, textures, and pile this is a hard decision. In the end, there is nothing better than to walk on a cushy plush rug. Fortunately, the experts at Kennys Carpet One Floor & Home in Carmel are here to help you choose the right type of carpet. There are ways you can narrow your search down to just the right carpet flooring choice by researching types of rugs. The main thing to look at is what are people buying? What carpet type is most popular and trending with the public? You will find that there are five basic styles of carpet flooring. Frieze Type offers twisted, tight tufts of wool offer resistance to matting. Level Loop Pile this pile is all one height. Therefore, this carpeting is smooth and even in appearance. Combination Pile rug offers a mix of cut and loop style, creating a unique style. When shopping for carpeting, consider what room you are going to put your flooring, because this makes a difference in the type you buy for that area. For example, a shag design looks lovely in the living room and on stairway to a second level. However, these are high traffic areas, and a shag design is apt to mat frequently down. Over time this type of carpet does not return to its normal state and tends to stay matted. A shag design is beautiful for bedrooms with little use or guest rooms. 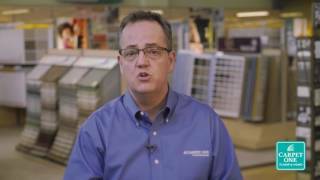 Jim Aaron, our VP of Merchandising for Carpet One Floor & Home, shares some information on the basics of carpet twists. He explains the importance of being knowledgeable about a carpet's twist of its fibers as well as its construction.